The Louisville Arcade Expo spoiled all of us retro video game and pinball fans earlier this month. Coop and I headed down to the 3rd edition of the annual event which was being held at the Ramada Plaza on March 8-10th. Last year, we got to know everyone behind-the-scenes so this year we decided to focus a bit more on the showcase games themselves. I spoke a bit about my LAX experience during a recent podcast. Last year, I went down solely for the arcade games and was surprised to find out just how much is packed into the Louisville Arcade Expo. This year’s show was no different other than the face that everything was bigger and better because of it. The crowd was fantastic with all generations of gamers coming together to play through the history of video games and pinball. There were more panels, tournaments, vendors, and games than I could keep track of. 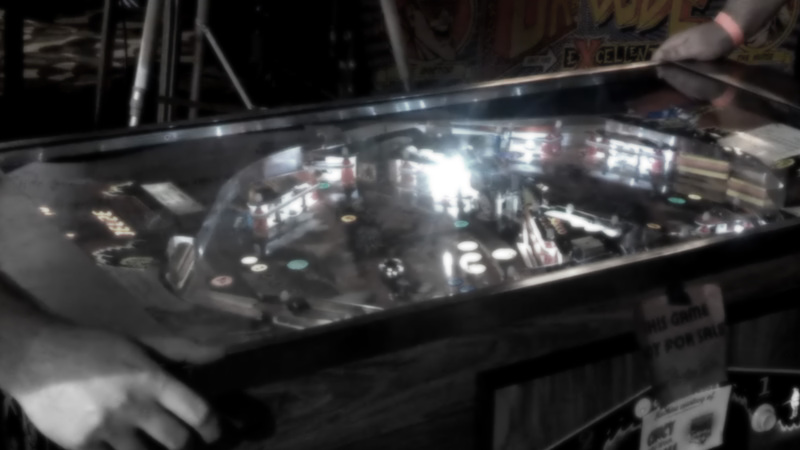 Personally, we were both drawn to the pinball tables as our interest in pins has grown in the past year, mainly due to our to our 2012 visit to LAX. The best part is that your ticket gets you access to play every table and video game in the place for free. No quarters required. The highlight of the expo for us was “The Timeline Room” which housed every gaming console from the 1970’s all the way up to the Dreamcast of 1999. The competitive Joust pinball table. Young gamers who were old pros at carrying around their step-stools so they could stand up high enough to play their favorite arcade games. Seeing a $14,000 NES Cartridge. The presence of WWF Superstars Arcade Machine. Witnessing a record setting run on the AC/DC Pinball Table. Playing on a Vectrex machine. Playing Cabal co-op and beating N.A.R.C. Seeing 2(!) Halo 2600 cartridges. Playing The Legend of Zelda on CD-i and confirming our suspicions. Meeting up with old and new friends like Pure Geekery and checking out the latest artwork from David Lugo. That doesn’t even mention everything that was happening around us, as the team behind Louisville Arcade Expo has made sure there is something for everyone from the favorite Duck Hunt tournament to discussions about game development and vendors selling just about any classic game you can think of. Classic gaming expos are popping up all over the place and I’m sure a similar one exists in your area. We heard about arcade expos on the east and west coasts of the U.S. and stumbled across LAX last year while searching ourselves. If you are a drive away from Louisville and a fan of gaming and pinball history, we highly recommend checking out the Louisville Arcade Expo. We’ll see you there in 2014 for sure. Man I wish I could have gone to that, it sounds awesome! Why can’t we have anything like that in Indy?